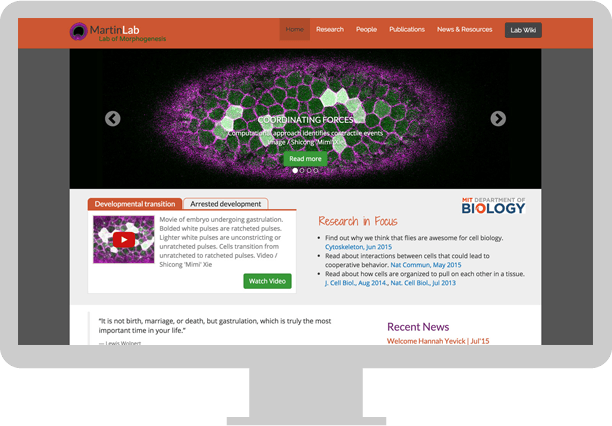 Martin Lab is a morphogenesis lab at MIT. 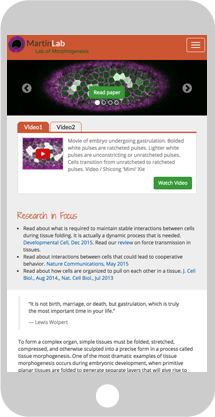 The lab does a lot of live imaging and therefore I designed the website to allow for multiple images and videos to be featured. 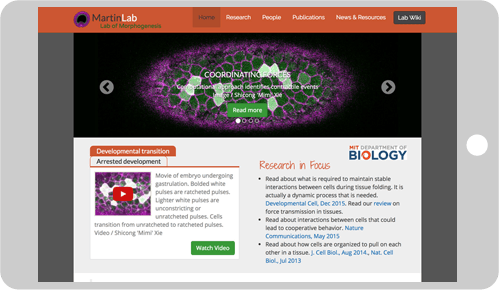 This is a responsive website with advanced functionalities. For a look at previous designs of the website, check out the miscellaneous designs page. You can see the code for a custom Wordpress theme that I built based on this website on Github.